Click on image to enlarge. © Diane Mayr, all rights reserved. This haiku was submitted as part of the July Shiki Kukai with the kigo prompt, "hot/tropical night." Beautiful, Diane! 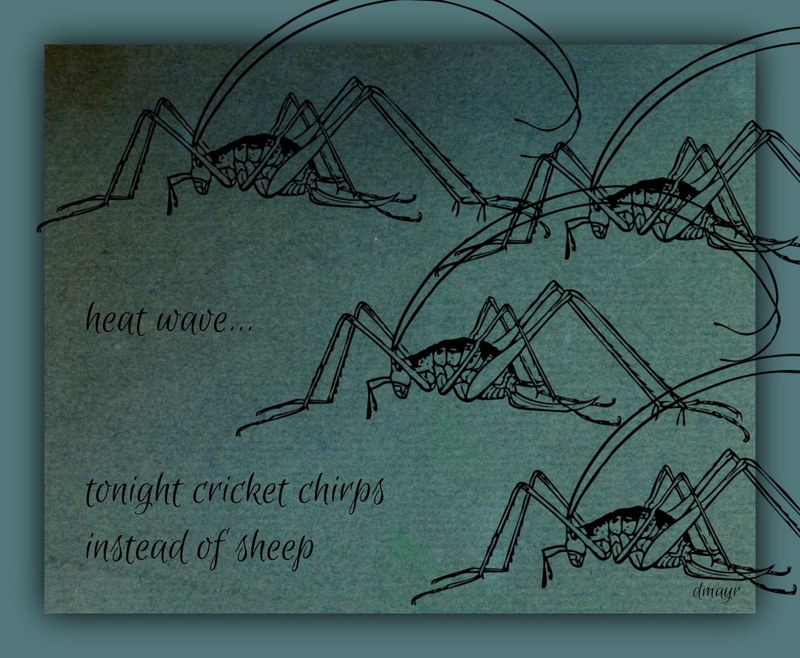 When we got home from our visit to Cleveland, my husband remarked on the sound of crickets and cicadas here in suburban Maryland. We missed those sounds in the city. I stood outside last week and just listened. It was amazing.